Georgetown Chamber of Commerce & Industry | GCCI President, Mr. Clinton Urling in discussion with the US Economic and Commercial Officer, Mr. Jeffrey S. Barrus at the Office of the Chamber. 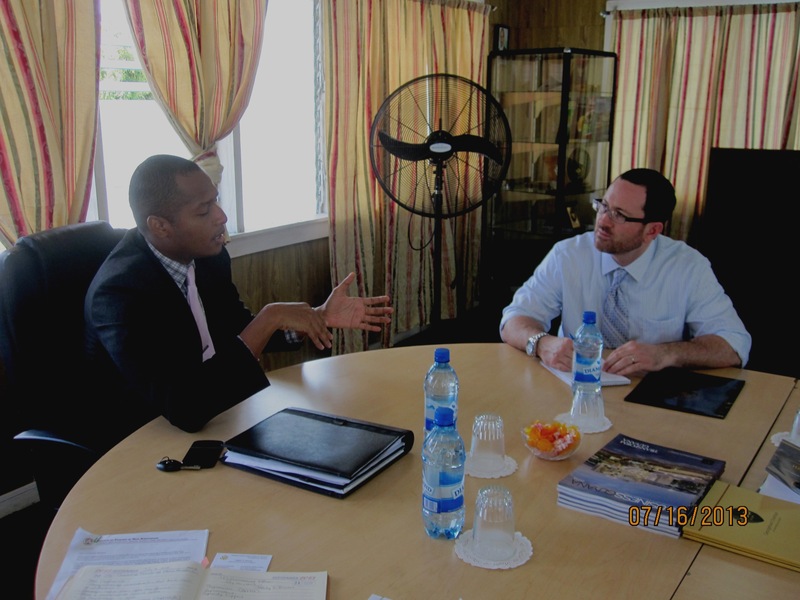 Home GCCI President, Mr. Clinton Urling in discussion with the US Economic and Commercial Officer, Mr. Jeffrey S. Barrus at the Office of the Chamber. GCCI President, Mr. Clinton Urling in discussion with the US Economic and Commercial Officer, Mr. Jeffrey S. Barrus at the Office of the Chamber.